Who doesn’t know Diwali -the festival of lights? Diwali is a famous festival in India celebrated among the Hindus, Jains and Sikhs across the world. This festival signifies the victory of good over evil and gives people an opportunity to bring tons of happiness in the lives of loved ones and others. Earthen lamps, candles, delicious sweets, the bursting of crackers and warmth of friends and family members are the major attractions of Diwali celebration in India. Almost everyone irrespective of their caste and religion waits with bated breath to enjoy bursting firecrackers, new clothes, visiting relatives and of course eating the umpteen amounts of sweets that most homes make, especially to celebrate the festival. But do you know the stories that started of this festival? Well here are a few aspects that mark the Diwali celebrations in India. Diwali is a 5-day festival celebrated as the return of Lord Rama with his brother Laxman and wife Sita after 14 years of exile from Ayodhya. 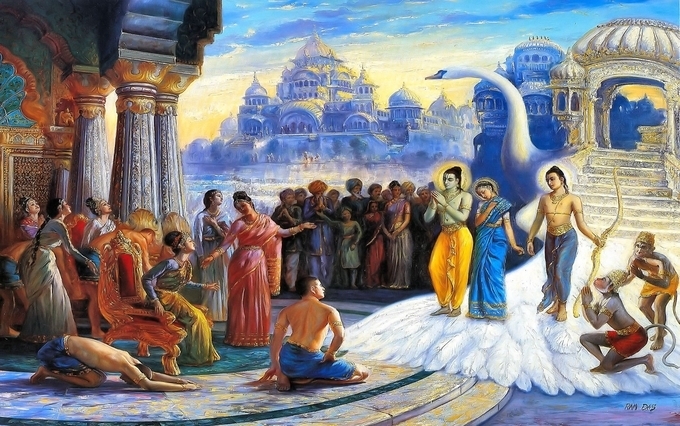 Diwali implies a row of Diwali lights or diyas lit by people of Ayodhya to welcome Lord Rama after defeating the demon Ravana. Some even believed these lamps were lit to show the path to the palace on a moonless night. Some even celebrate the festival to mark the reunion of Lord Vishnu with the Goddess Lakshmi. Diwali celebration in India is different everywhere. Most homeowners are known to leave their doors and windows wide open to allow the entrance of Goddess Lakshmi in their homes. Even people light diyas to dispel the dark from every room while decorating their doorsteps to offer a warm welcome to their guests. Furthermore, to make the festival memorable, don’t forget Diwali shopping to buy and wear the latest in-fashion clothes that help you look the best look during the festive days. Do not forget to express thanks to the Goddess Lakshmi for the progress, prosperity and better future you’ve had during the year. Don’t forget you can always send a few Diwali greetings and Diwali gifts to your near and dear ones. 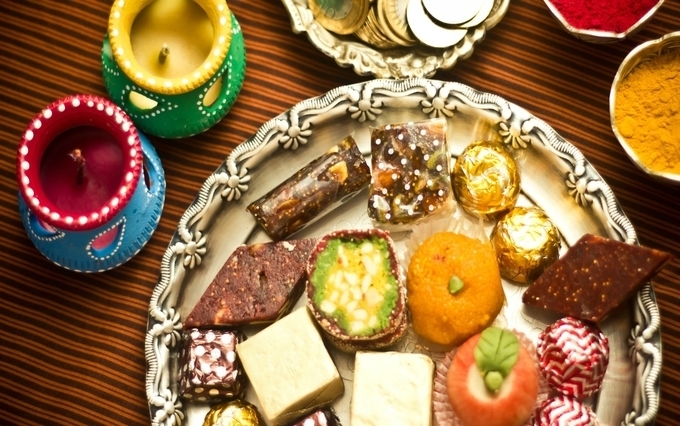 Every Indian festival is incomplete without varieties of sweets and Diwali is no exception. 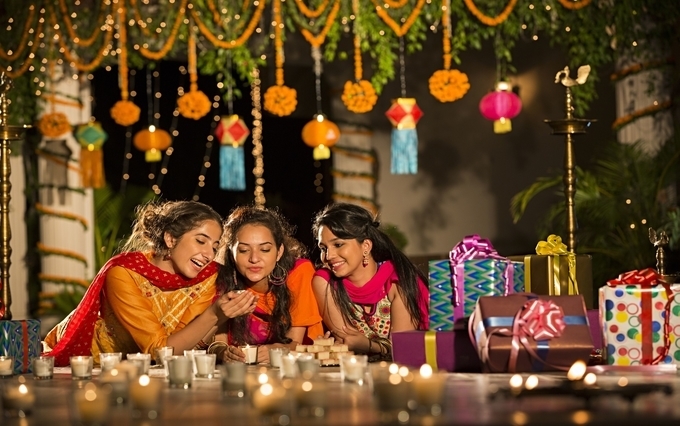 During the entire festival, people have plenty of savoury items and traditional Diwali sweets, especially on the main Diwali day and on the last day of the festival. Do make time to enjoy the delicious diya-shaped sugar cookies, gujiyas, puris, mini samosas and other traditional sweets made during the festival. Another unique aspect of Diwali festival in India can be seen in its West Bengal region. Here, people worship Goddess Kali for the whole night. 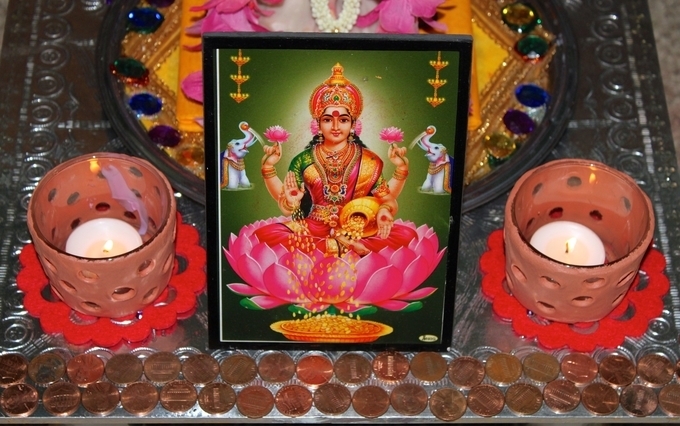 In other parts of India, Goddess Lakshmi is worshipped through the night. However, other activities are similar, which include bursting of crackers, fireworks display, the lighting of diyas and candles across homes, painting of colourful patterns at doorsteps and visiting friends and relatives’ homes, along with dressing in a new apparel. 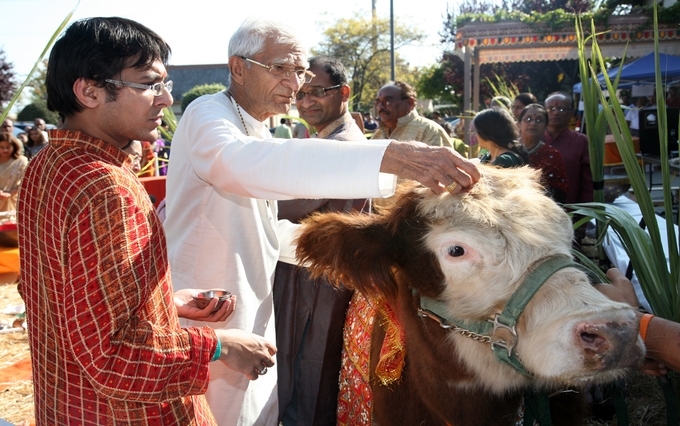 Another unique aspect of Diwali celebration is found in Maharashtra, where people begin the celebration with an Aarti of a cow and a calf to represent the deep love between the mother and the baby. However, other days remain same i.e. Dhanteras, is when businesses and traders open their new account books after worshipping Goddess Lakshmi and Lord Ganesha. Finally, in rural India, Diwali marks the rabi crop harvest celebrations for Indian farmers. Because of this, they celebrate it with joy and venerate their deities to grant them a successful harvest.